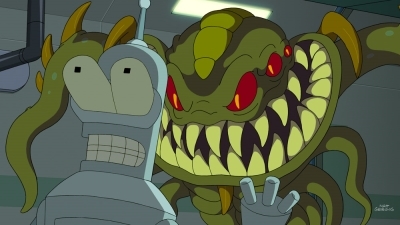 During a team-building exercise, the crew get trapped aboard the Planet Express ship with a horrific alien creature. The crew stages a casino heist to recover stolen property from the Robot Mafia. 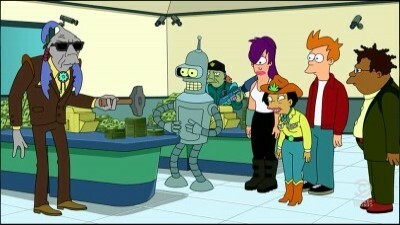 Bender becomes a famous firefighter, but the crew suspects him of arson. 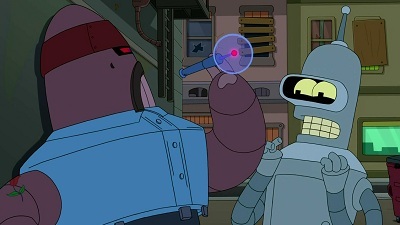 Bender enters a witness-protection program after testifying against the Robot Mafia. 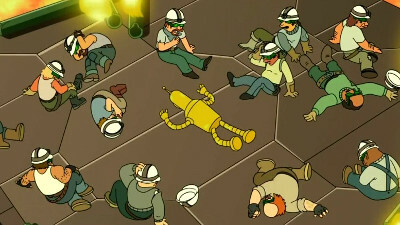 Bender searches for the meaning of life after learning that robots lack free will. 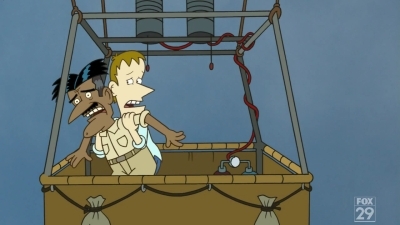 After a devastating spaceship crash, Professor Farnsworth attempts to resuscitate the crew with his birth machine. Foxxy refuses to participate in a house Spelling Bee to win a gift certificate to Applebee's. The truth comes out that Foxxy used to be the best speller in all the land, but had fallen far from grace after a violent racial incident at a Bee years earlier. Spanky convinces Foxxy to go for the title once again. In the meantime, Captain Hero discovers Clara has a secret sexual fetish for car crashes. Hero causes wrecks to get Clara off, but does she really love him? Or is she just using him for the car crashes? Zapp Brannigan loses interest in Leela and instead turns his attentions towards her mother, Turanga Munda. #10 - That Darn Katz! Earth is invaded by a race of intelligent cats. 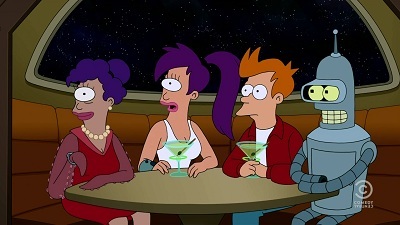 Leela becomes a Hollywood Big Shot after creating a hit children's television series. When Knob Haven High School has a chance to become a “distinguished school,” Larry volunteers to give a speech to the school board in hopes of impressing Miracle. All looks good for Larry until a video of Ennis surfaces online and Principal Sezno replaces him. Meanwhile, Willard volunteers to teach Driver’s Ed in hopes of overcoming his fear of driving. How to get rid of an unwanted fiancé? 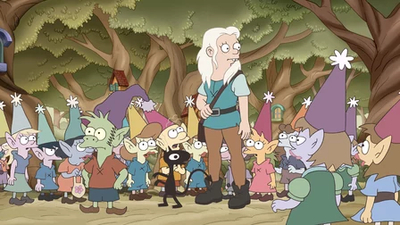 Bean's plan involves a party barge and mermaids. 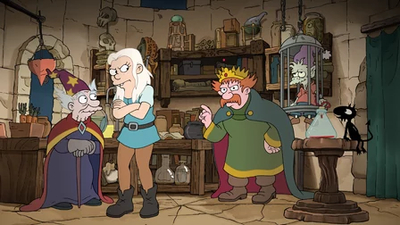 King Zøg tries to make Elfo's blood into an immortality potion. On a field trip to the nation’s capital, Sue Sezno ditches the teachers in order to testify in a Senate hearing. In an effort to prevent her from going on record stating Knob Haven High School is the worst school in the country, the staff splits up and races to stop her. Meanwhile, Ennis’s journey becomes personal when he decides to prove his bravery.